There was a time that the mention of a “carbon fiber bike frame” brought to mind prohibitive prices and elitist racing events. But, times have changed and manufacturing processes have improved so that high-quality carbon bike frames and all its valuable advantages are now available to just about any dedicated road racer looking to shave off precious energy expenses and gain a cutting edge on their own performance. What is a Carbon Fiber Frame? The Carbon Fiber Frame is made by weaving especially tough carbon strands into a thick hard epoxy. This results in a lightweight frame that has improved strength and some valuable flex which can work to minimize road vibrations felt through the contact spots of the hand, buttocks, and feet. Road vibrations take their toll after about mile 11 and this is where the improved performance of a carbon fiber frame is most advantageous. The following article will include some other important reasons to consider the carbon fiber frame when looking for the high-performance bike of your dreams. Is weight really important on a road bike? You can bet your last ounce of stamina it is. The fibrous nature of carbon fiber materials makes them specially crafted for peak performance. For example, the frame may be extra stiff in both the bottom bracket and handlebar connection for crisp responsiveness and delivery, but it may be more compliant in the seat region for extra comfort for the rider. All this shaves off valuable micrograms from the workload of the rider making the effort streamlined. The greatest benefit is the capacity carbon fibers have to meld seamlessly into their purpose, this means offering the greatest connection to the road in terms of comfort and stability. An aluminum frame is a rigid sort and all the road vibrations will be transferred from your road surface through the frame and directly to your wrists, ankles and sit bones. By the 15th mile, your body will feel the effects. OF course, there are other ways to avoid this issue, wider tires with less air pressure absorb much of the road vibration. Furthermore, you don’t necessarily need the entire carbon fiber frame, just the carbon fiber fork will significantly diminish the vibrations felt from the tires. Carbon fibers have been developed significantly to produce an impressive strength level in the spots where the most strength is needed. This means that a carbon frame can be every bit as durable as the most expensive alloy frame. There are even impressive downhill MTBs made of carbon fibers. One important thing to understand is that the strength provided by a carbon fiber frame is exactly designed to fit the use of the bike. Impacts and pressure from incorrect use can result in damage to the frame. But this is not a reflection on the durability of the carbon fiber but the lack of care practiced by certain users. 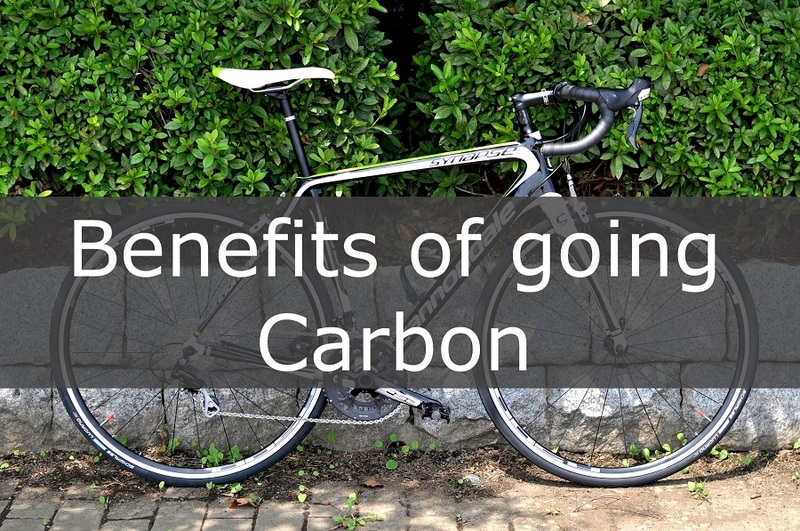 Bike racks, transport racks and the position of the seat post in the fame are all possibly hazardous to the carbon fiber frame and best practices should be considered carefully. Carbon fiber can resist corrosion from salt and sea air like no other bike material can. Steel and aluminum can be very susceptible to the elements, but carbon fibers are inert and can withstand it all. There was a time when the carbon fibers could be damaged by UV rays, but modern manufacturing process has eliminated this problem from the table. Many of the big bike manufacturers produce carbon frames but they are often asking premium prices for it.There is an increasing number of “online only” bike builders that provide great carbon frames and components for very competitive prices. We can recommend sid.bike; they deliver high quality, great customer care, and save you a lot of money. You can also check their Carbon bike Facebook page to connect or get in touch.